The best I can say about 2018 is “well, that went quick”. The lack of will of the British political class to approach a crisis which could have us cooking & eating our shoes in 2020 with neither realism nor clarity is dispiriting. The rise & normalisation of extreme views is alarming. These loudmouths need a sharp one upside the head & I trust that the day will soon come. Personally I have visited too many doctor’s surgeries & hospital consultants this year. Any number of scans have established that my vital organs are present but are not all correct. The diagnosis is that I’ve not been very well. A shout to my friend Mollie who this week bids farewell to her teenage years. Her resolve in the face of the daily grind of poverty & the threat of homelessness, still finding time to raise my spirits, provides much-needed & appreciated perspective. Any road up, the music continues to soothe the still savage, now more delicate breast & here are just three of the best of the year. It’s a long time since I have been as smitten by a new record as I am by “Yawn”, the 4th solo outing from Bill Ryder-Jones, his first since 2015’s outstanding “West Kirby County Primary”. “There’s a fortune to be had from telling people you’re sad” sings Bill on the opening track & if melancholy was money then he would be quids in. The album is no wallow in his or others’ misery. Bill has had his share of mental health problems &, as his songwriting abilities have developed, his lyrics are contemplative yet considerate, wry & real. He’s from Merseyside, it doesn’t do to be too sensitive. Bill’s uncomplicated, melodic songs are matched to a background wash, spattered with surprising guitar surges. There’s a depth that brings to mind Low’s “Things We Lost In The Fire” (2001) & that’s a good thing. A couple of the more restrained tunes are no more than laconic variations on the “Sweet Jane” riff & no-one can have too much of that. The appeal may not be immediate but “Mither”, the 4th track, sits you up & lets you know that there is something good going on here. An outstanding work, I can’t get enough of it. 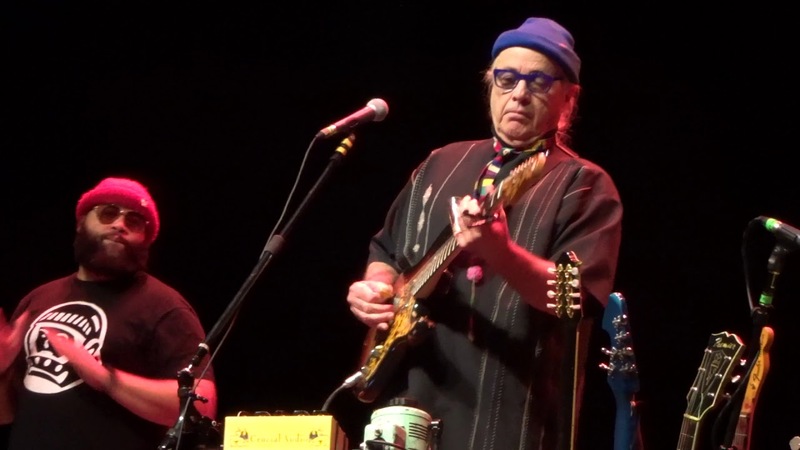 Try “Don’t Be Scared, I Love You” a couple of times & you will be singing along all day. .
It’s been 6 years now since Ry Cooder’s last phonograph recording. With “Election Special” (2012) the guitar virtuoso was labelled an activist, a protest singer, largely because few other white musicians were so overtly taking notes & naming names. Anyone listening to Ry’s more recent work knew that his social awareness, present throughout his 50 year career, was becoming more pronounced. His taste & technique makes Cooder my favourite guitarist. His choice of material from across the 20th century has been educational & pertinent, always a pointer to the abiding ability of music to raise the spirits. “The Prodigal Son” is a return to the musical curatorship of his earlier records. 3 of the 11 tracks are originals, the rest drawn from Blues & Gospel artists, particularly the latter, he so admires. The opening “Straight Street”, a Pilgrim Travelers’ song from 1955, sets the scene, the song receiving a respectful, energetic & imaginative revival. The four-piece band, including son & co-producer Joaquin on drums, provides stripped down arrangements, allowing space for Ry’s peerless musicianship. Backing vocalists include long-time assistants Bobby King & Terry Evans, the final sessions for Terry who unfortunately died in January. Cooder recorded Blind Alfred Reed’s “How Can A Poor Man Stand Such Time & Live” on his 1970 debut album. It is still, along with an updated “Vigilante Man”, an apposite inclusion in his live show. Reed’s “You Must Unload”, recorded in the noted Bristol Sessions of 1927, is a modern anti-materialist hymn & one of my favourite American songs. Ry’s version is just beautiful, one of the songs of the year. “The Prodigal Son” is a great, I might say exquisite, record, a moral, honest, human commentary on the (same as it ever was?) world today. Ah go on, have another one & look at that Ry Cooder go! OK, three is the magic number around here but please allow me to make a couple of honourable mentions of records that have made 2018 a better place. Idles second record “Joy As An Act Of Resistance” is angry, belligerent & will be endorsed by at least 2 of my guest contributors this month. I’ll just say that we can’t have enough Joy or Resistance in these times. “Double Negative” by Low (them again) is a challenging listen, not one to put on the turntable when entertaining friends but possibly a masterpiece. Oh yeah, Lee Perry’s “The Black Album” gets played a lot too. My final selection is music that is familiar to me, a record that has given much pleasure since its release. Jason Isbell has been at the front of the stack for 5 years now. There is probably a generation of roots-based American artists that I would enjoy but just haven’t heard because Jason’s high-quality stuff is enough for me when I need that sort of thing. “Live From The Ryman” captures him & the 400 Unit on their 2017 tour, the tracks a selection from his last 3 records. Those great ones from his time as a Drive-By Trucker, “Decoration Day”, “Outfit” & “Goddamn Lonely Love”, showstoppers all, don’t make the cut. On stage the band rock a little harder, taking the opportunity to stretch out & discover just how good these songs are. Jason’s wife Amanda Shires didn’t make last year’s trip to Europe, when she does join in her instrumental & harmonic contribution adds texture to an already fine unit. 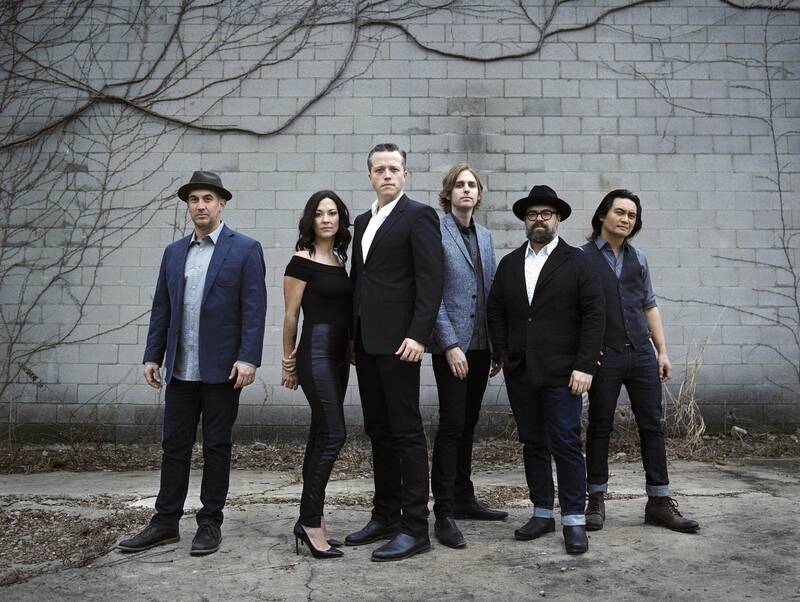 She’s around for this one, “The Last Of My Kind” from his last record “The Nashville Sound” is an epic as is the take on “Wooden Ships” they played when joined by David Crosby at this year’s Newport Folk Festival & Jason Isbell is a major American artist. Whatever he does next, I’ll be there.